Please join YLAL for the Greater Manchester launch of their updated Social Mobility Report at which Garden Court North Chambers’ Natalie Wilkins will be speaking. 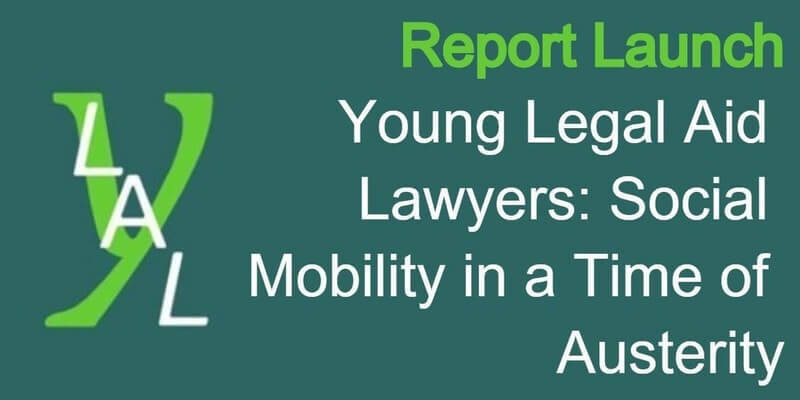 Following a membership wide survey completed in 2016 YLAL have completed a detailed report on the state of social mobility for junior lawyers in the legal aid sector. They will be launching their report in a series of nationwide local events. They encourage all those lawyers – junior, senior, management, partners, junior barristers, QCs, lecturers, teachers – with an interest in encouraging social mobility in the sector, and understanding the barriers to it, to join them! They will: introduce YLAL and the report and describe their findings. Then Natalie Wilkins, who along with being a barrister at Garden Court North Chambers, Manchester is a YLAL committee member, will faciliatate an open floor discussion of the recommendations and social mobility in the sector more generally when our speakers will also take questions from the floor about careers in legal aid and the future of our profession. Refreshments will be provided from 5.30pm and there will be time for further discussions and networking at the end. The event location is easily accessible from other parts of Greater Manchester – students at other institutions are encouraged to come, as well as those in training, practice or just interested in the topic. It may be useful to know that trains regularly run from Manchester Oxford Road Station to Salford Crescent and take about 7 – 8 minutes. There are also several bus routes running from central Manchester close to Lady Hale Building. Book your FREE TICKET early on Eventbrite to help us organise refreshments and seating!